Taknet Systems was established in 1994 in Singapore as an Information Technology company distributing computer hardware and doing software development. Besides distribution, we also do system integration and manufacture our own range of storage appliances. Our founder, Mr A.K. Tan, has built the Taknet group of companies based on quality, expertise and trust, all of which are as true today as they were in 1994. Our ability to change together or even ahead of the times has made the Taknet Group of companies successful. In the past 22 years, we have grown with the ICT industry and have expanded our market beyond Singapore to Malaysia, Myanmar and Thailand in the last 10 years. We aim to extend our market further into other regional countries such as Indonesia and Vietnam. From reselling and distributing computer components such as Hard disk drives, CPU in the early days we have moved to building higher valued systems such as storage appliance (eg Network Attached Storage), servers and computing systems for cloud, high performance computing and data analytics systems. Today more than half of our customers require us to deliver their servers to Data Centres and some of them want us to provide support and installation services for their systems in these centres. Thus, it is vital for our team to continuously acquire new knowledge and expertise in this area as well as develop new products for the long term growth of the company. Our core business today is in the distribution of server hardware and high end workstation. We partner with the industry best to bring quality and cost effective solutions to our customers. We are the authorized distributors for Supermicro Servers from SuperMicro Computer Inc. (NASDAQ:SMCI) in several countries. In addition, we also build our own line of Storage Servers under the ReadyStor® brand such as NAS (Network Attached Storage) and SAN (Storage Area Network). Besides hardware, we have also completed projects in software development such as elearning courseware development for the military. We are the authorised reseller for Articulate Storyline and Studio for developing elearning courses and Articulate courseware delivery systems. Our versatile team has also built complete network infrastructure and other special projects due to the request of our preferred customers. 1997 Awarded a million dollar contract from a GLC to develop multimedia courseware for military training. 2003 Appointed Singapore Authorised Distributor for Supermicro, Inc.
2011 Fast Growth Award by Supermicro, Inc.
2005 - 2017 Our Managing Director, Mr A.K. 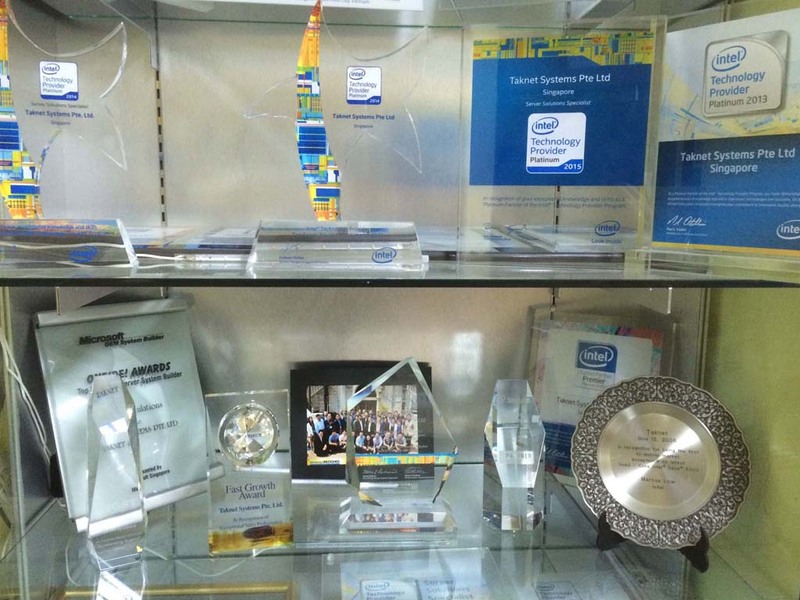 Tan, is on the Intel board of Advisors for server products for the APAC region.